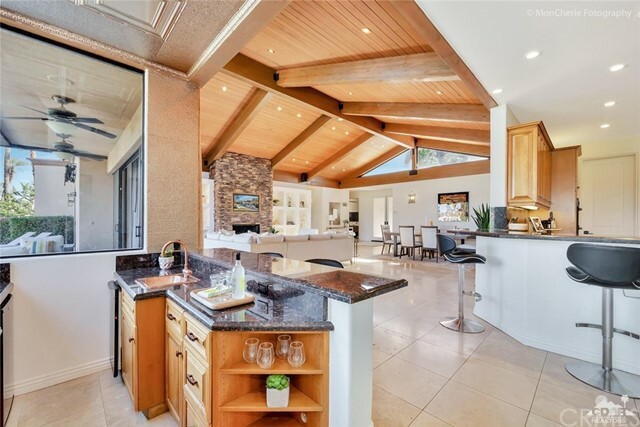 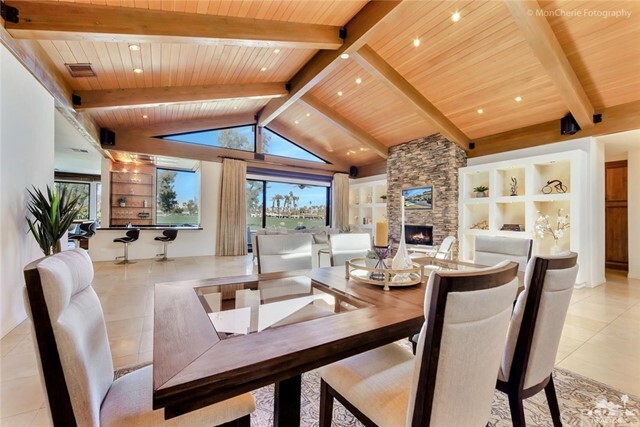 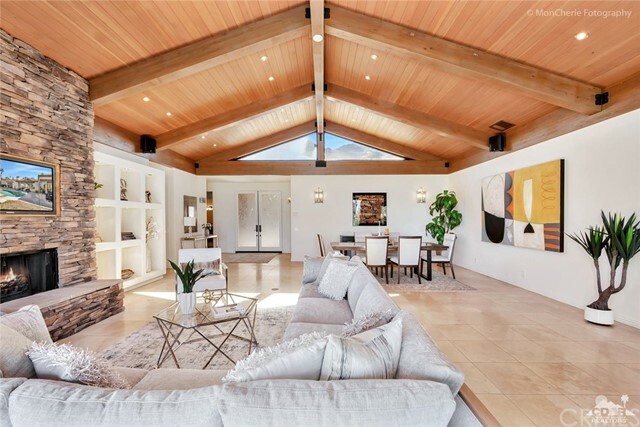 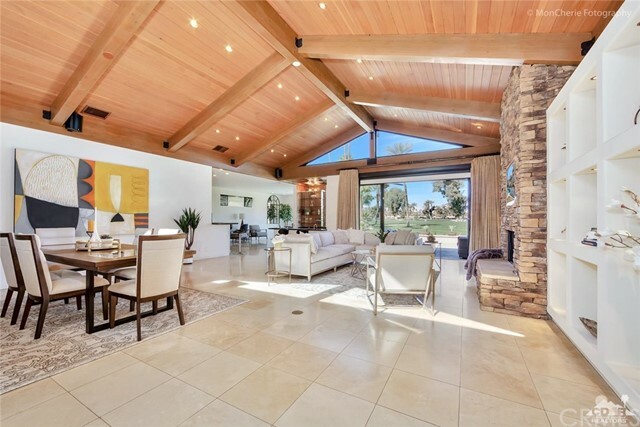 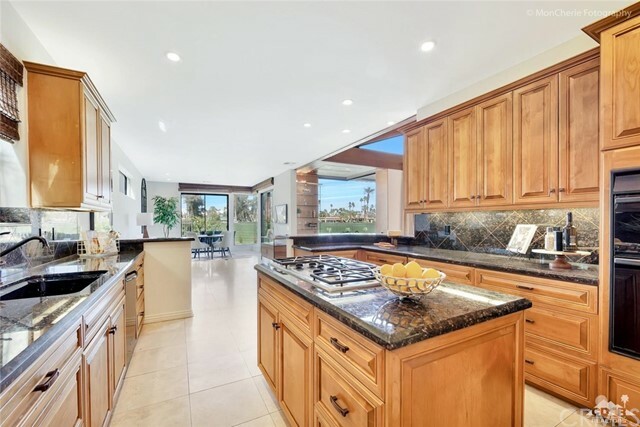 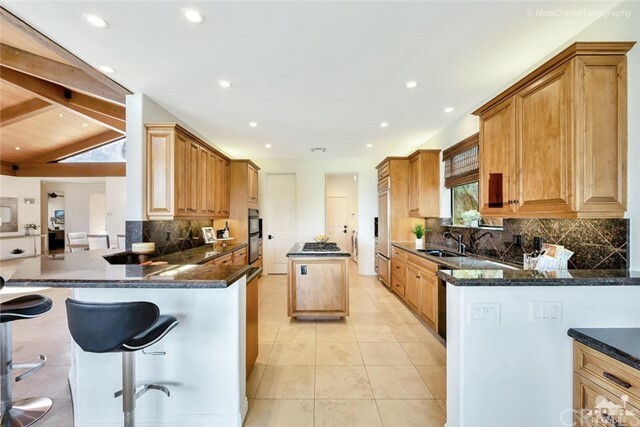 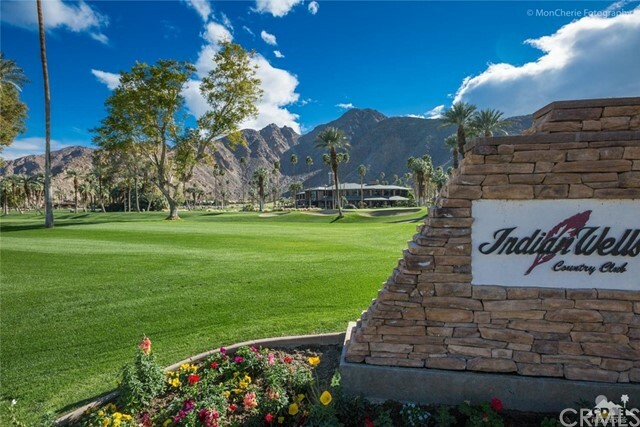 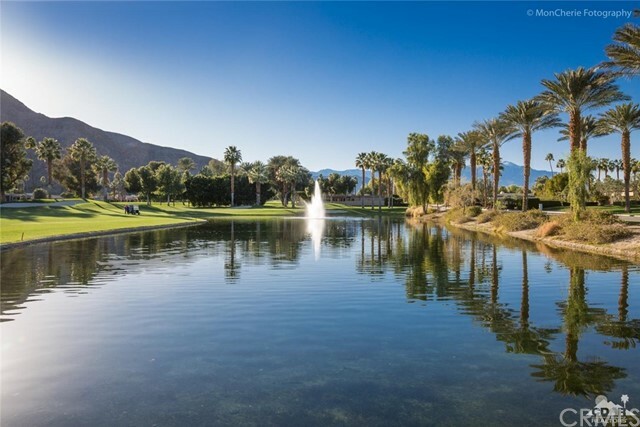 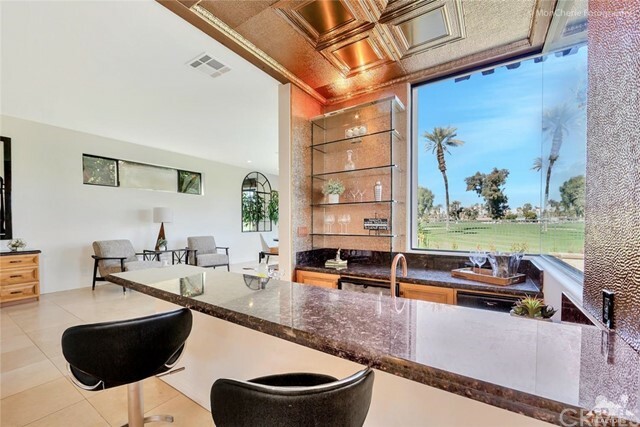 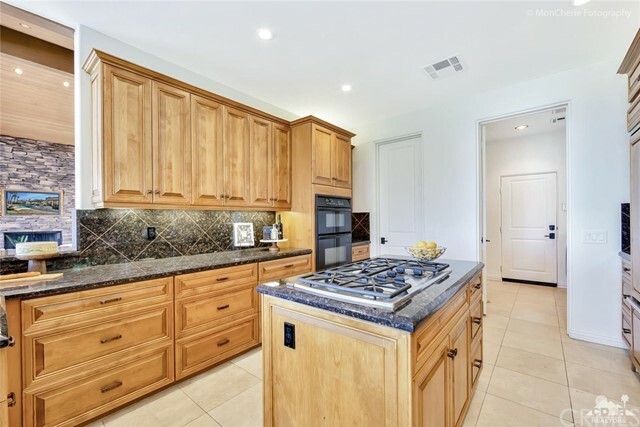 Gorgeous Southern and Western mountain views located on the fairway of coveted Indian Wells Country Club. 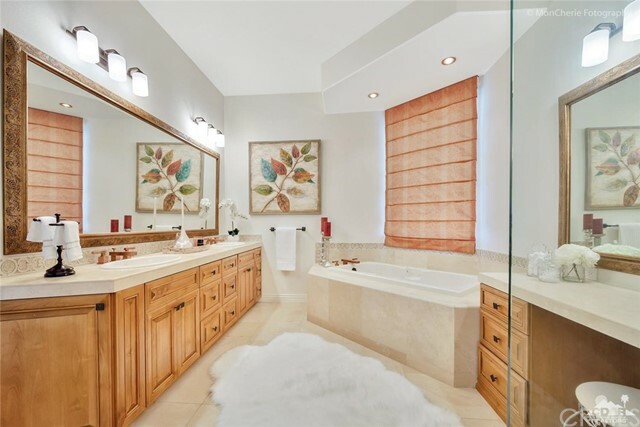 Nestled into a quiet cul de sac, this custom home with stacked stone facade and gated courtyard with soothing water features welcomes you into an open and expansive Great Room, Dining Room with high vaulted wood ceilings, stone fireplace and wet bar with granite counters and stunning hammered copper walls and ceiling. 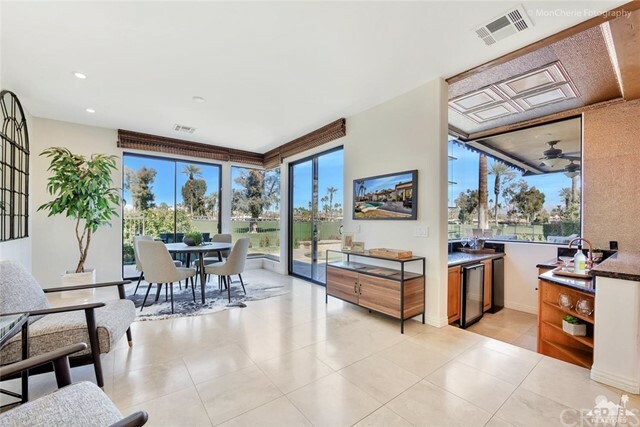 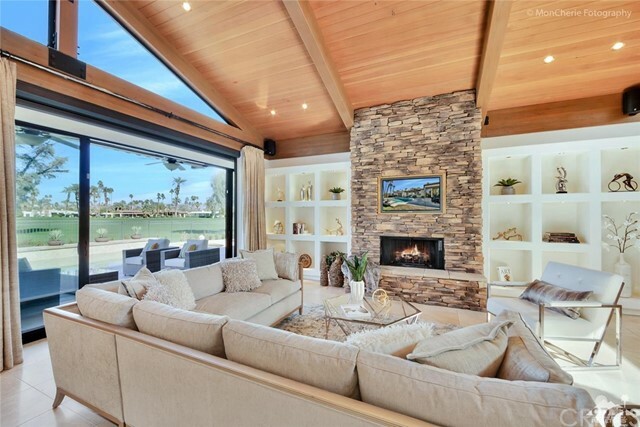 Disappearing glass pocket doors for ultimate indoor outdoor living while viewing the 2nd fairway of the Classic course. 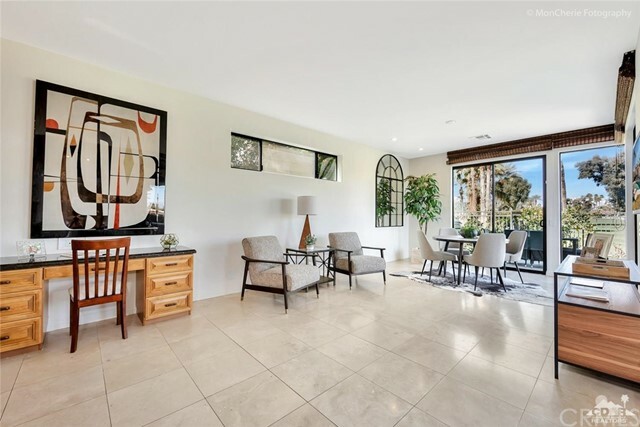 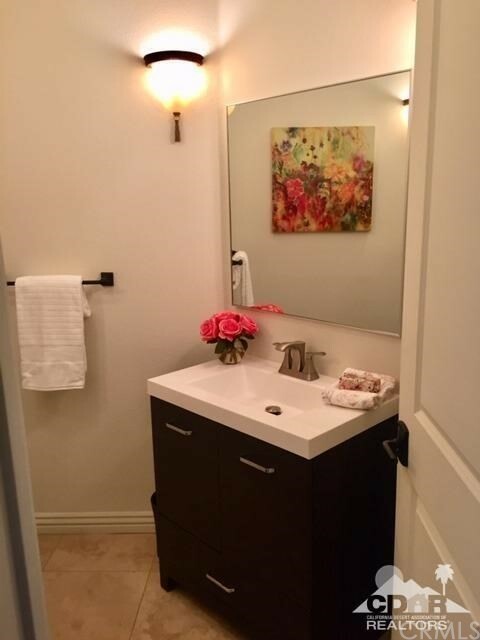 Newly painted, light and bright interior with travertine flooring. 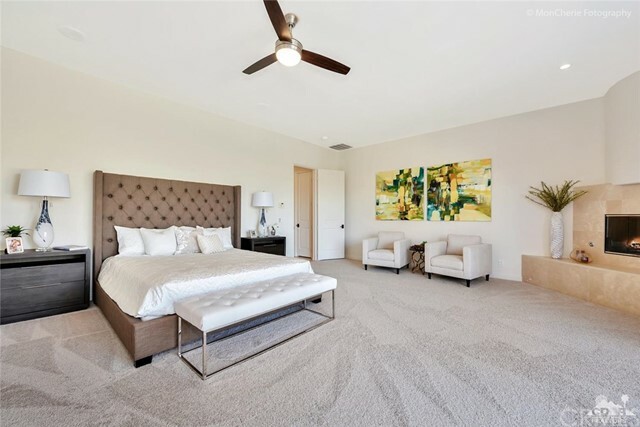 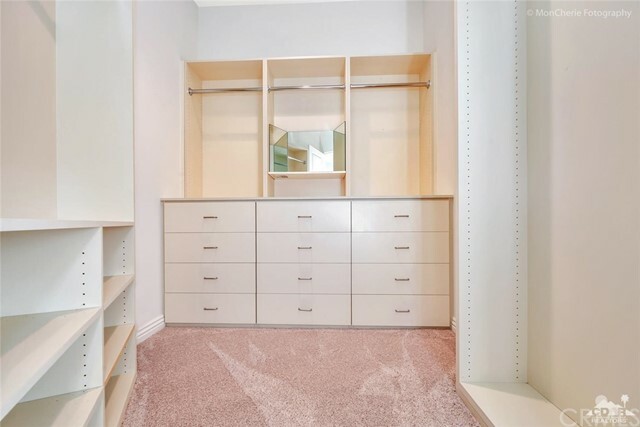 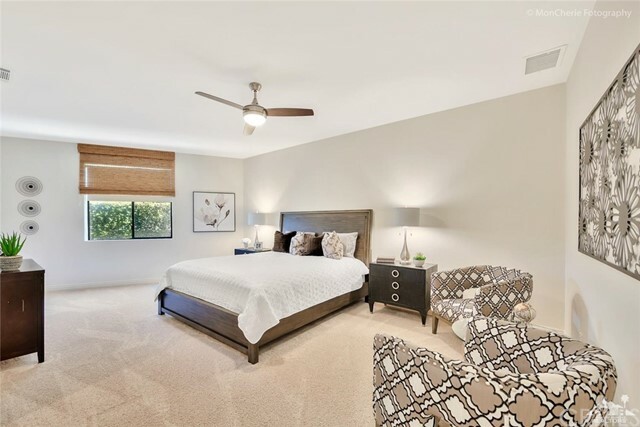 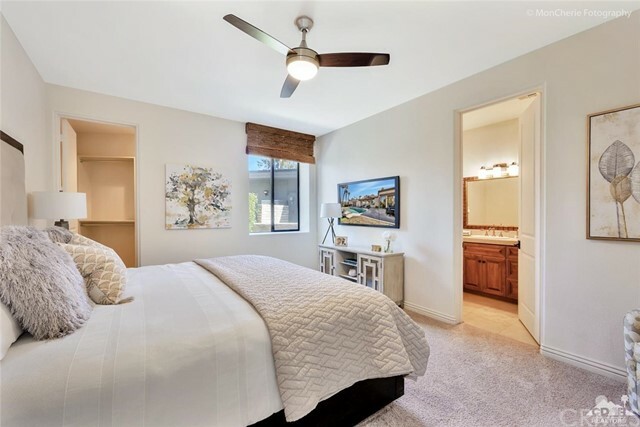 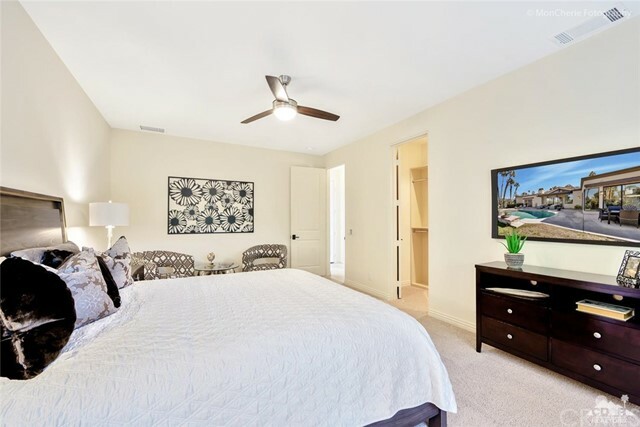 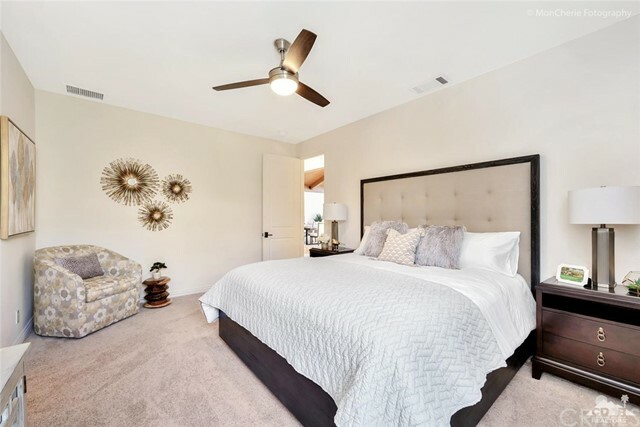 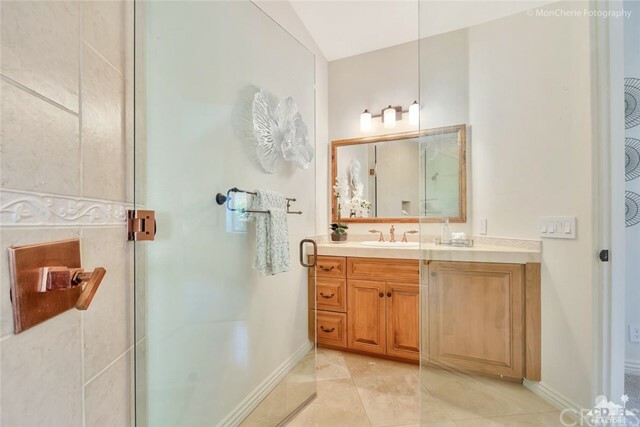 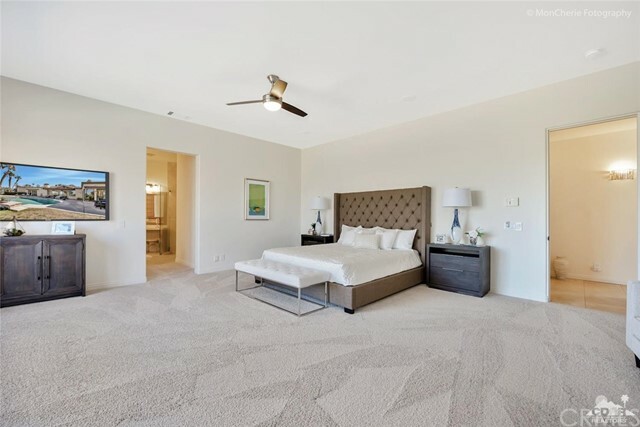 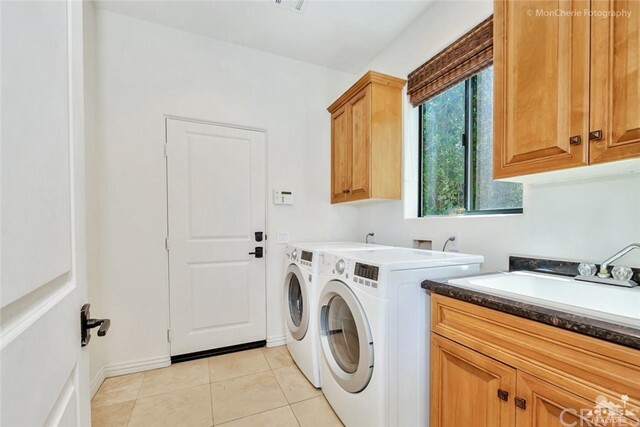 Three generous bedrooms each with its own full bath, new lighting and modern ceiling fans, plus walk in closets and brand new plush carpeting. 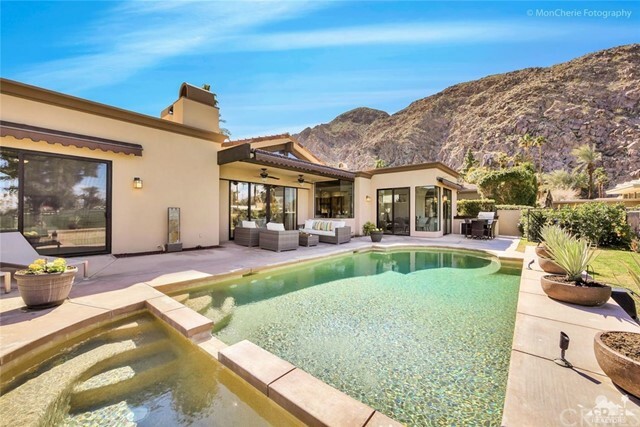 Pebble Tec pool has elevated sheer decent waterfalls for a cool and soothing environment. 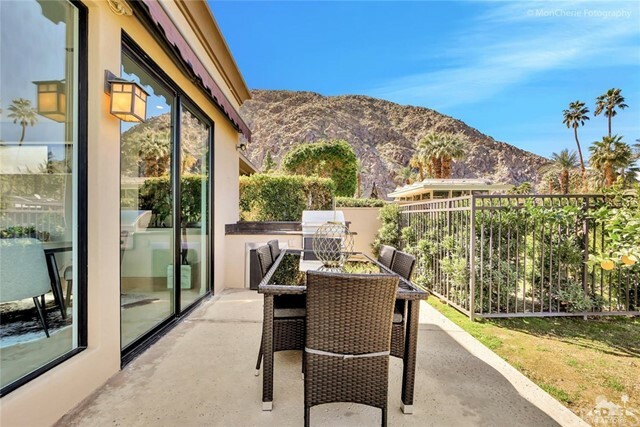 Outdoor terrace with multiple seating areas, built in BBQ, and three automatic awnings for perfect entertaining. 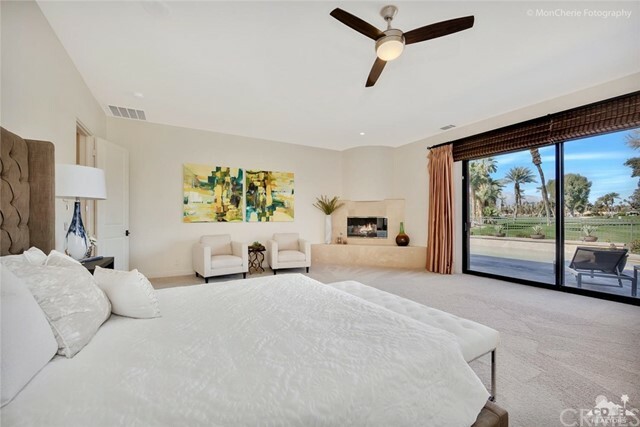 24 hour guard gated security and NO HOA.